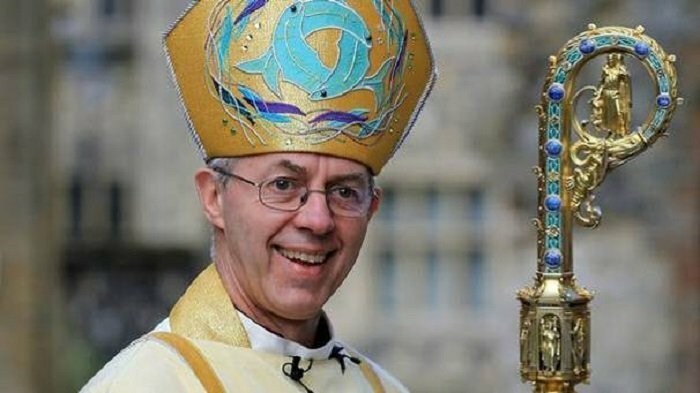 Though God never self-identified as "She" in any part of Scripture, the Archbishop of Canterbury determined that this non-preferred gender pronoun should be forced on God. The archbishop also suggests that we stop using the word "Father" in reference to God, since "God is not a father in exactly the same way as a human being is a father". In related news, many people have stopped referring to the archbishop as a "Christian", even though the archibishop occasionally self-identifies as one. “All human language about God is inadequate and to some degree metaphorical." “God is not a father in exactly the same way as a human being is a father. God is not male or female. God is not definable." The comments by England’s most senior bishop follow those of the first female bishop Right Reverand Rachel Treweek, bishop of Gloucester, and Rt Revd Dr Jo Bailey Wells, Bishop of Dorking, who said in September that referring to God as a man was a “growing problem” and said the Church should stop referring to the deity as solely male. Treweek argued that the use of male language could be damaging to young girls and boys, and that gendered language would be insufficiently welcoming to non-Christians. Wells said she goes out of her way to use both “male and female imagery” when preaching. Meanwhile the U.S. Episcopal Church set up a committee in July to “provide a pathway” towards revising its Book of Common Prayer to include gender-neutral language. Church leaders called for the revisions to correct the “overwhelming use of masculine language” which they believe to be a “barrier to evangelizing young people,” according to Fox News.